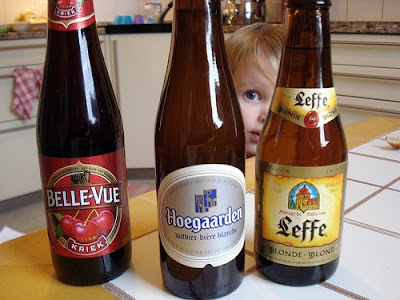 Here are the 3 different Belgian beers I purchased at the grocery store. I'm sure the selection is quite different in a Belgian bar. But, we'll start here . . . with grocery store beer. The blonde and the winter beer both had a very unique and distinct taste. One that Bryce and I had never tasted before. Is this taste a signature of Belgian beer? The Kreik is available in Seattle (in some stores anyway) but we'd never tried it. Surprised by the bold cherry taste. Dawn, I hope to discover (and taste!) what that Belgian drink is you reffered to. I'll keep you posted. About the induction stove top - it is possible to have a smooth stove top like the one pictured *without* it being induction. It sounds like that's what you have Bobbie. Chris, my MIL, that is what you have as well. I could tell that my pots "didn't work" on our stove because when I set them on the burner and turned it on, I got an error message. Thanks Sydni for catching my mistake - it was written down correctly in my notes but didn't make it that way to my post. Apparently I need proof reading lessons in addition to French. This evening I'm going to attempt these cookies! LEMON, I love you so! 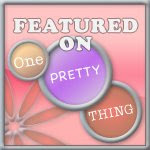 Thanks to Sunny Tuesday for posting my Doily Angels! Belle-Vue Raspberry was the first beer I ever ever had when I was on exchange in Belgium... it's still one of my favorites. we had the same problem with the stove top when we moved to the new house, our new one is IH. A tip for cleaning it, use baking power, sprinkle on top then put on a rubber glove or one of those this plastic gloves, wet the glove then rub the top of the stove, comes up a treat! My husband and I have many fond memories of Belgian beer and chocolate. He was living in Belgium for 13 years when we met so we spent 2 years living between two houses, two countries, two continents, you get the idea. 1. De Koninck: Brewed in Antwerp. Locals will ask for a "bolleke" which refers to the glass. This beer is much better from a tap than from a bottle. Cafe Pelgrim is a pub directly across the street from the brewery. They serve small shotglasses of the yeast (it's an acquired taste). This was a favorite spot after a challenging work day (we are both with the same mulit-national corporation)----a couple of bollekes and the spaghetti dinner to unwind. 2. Hoegaarden: Named for the town in which it was brewed. Often referred to as white beer. Summer afternoons sitting at a pub on the Groenplaats in Antwerp (near the cathedral) downing these with friends---a great way to relax. Pierre Celis sold this brewery to Interbrew (big conglomerate)and moved to Austin Texas to start Celis Brewery. Celis White was produced in the US using the original recipe---we were in heaven while it was available here. 3. Westmalle: One of 6 beers still brewed in a monestery (called Trappist beers). 5 in Belgium and 1 in The Netherlands. It's definitely worth a Sunday afternoon trip to Westmalle. It's a popular trip for families to walk the grounds then stop at the pub across the street for a Double or a Triple and fantastic ice cream dishes for the kids. You will see many people order the beer with gernadine (it's OK but I like beer too much). Bring your sunglasses and sit on the patio. The only problem you'll have is deciding who drives home. The other trappist beers are not to be missed either. 4. Mort Subite Kriek: Mort Subite is translated sudden death (but you'll soon learn that!) Out of bottle fantastic, on tap even better. Cafe in Brussels by same name a great stop for Croque Madame for lunch with a couple of kriek. From there you can walk to the heart of Brussel (see the Manneken Pis) and then stop at A la Becasse (300 year old pub) for more kriek (the best to be had but I've never found it bottled). 5. Jenever: It's not beer but I guess it needs to be noted. There are pubs dedicated to this drink and it's worth a try. It's a cross between gin and schnapps and it's served in a shot glass. Loved the fruit flavors. We tended to stop and enjoy a Jenever at the end of the night. I've only scratched the surface---I don't think there is a better beer culture to be had in the world! The food and chocolate in Belgium is tough to match as well. I can't wait until you start discussing chocolate! If you mix the Hoegaarden with a raspberry beer (I like Lambic Framboise) you get a Dirty Ho. It's delicious (but makes you feel silly ordering it at a bar)!